Summer is vacation time, which means you’ve probably made some amazing memories in exciting locations. A great vacation deserves souvenirs to remember it by. So empty your suitcase of all those bits and bobs you accrued during your trip, and turn them into art that you can proudly display and always be reminded of that special time. Here are a few DIY (Do It @ Yucandu) vacation art examples that you can try right here at Yucandu. We have everything you need to turn those maps, keys, postcards, photos, and trinkets from your trip into works of art! One of the best things about taking a trip to the beach (besides soaking up sun and playing in the waves, of course!) is collecting seashells. Seashells are beautiful works of natural art—but what to do with them? The same goes for pebbles, coral, sea glass, and any other treasures you may find washed up on shore. 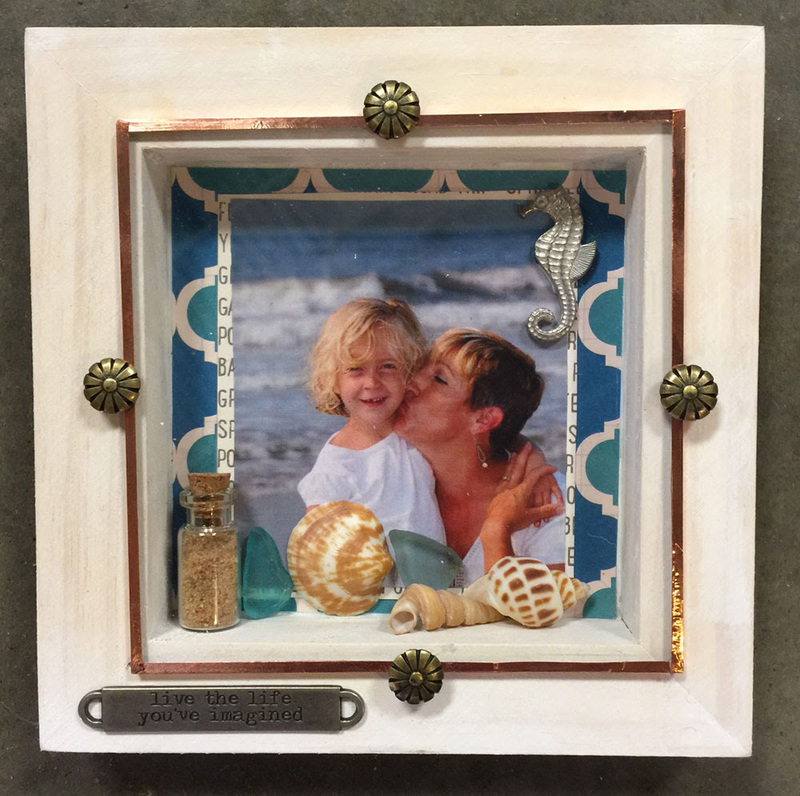 Put them to good use by attaching them to frames or dioramas that includes other mementos from your beach vacation like photos and other fun trinkets (like the key from your beach house!). Bring your own shells or add some of ours to your project. Our little glass vials are perfect for displaying sand, too! 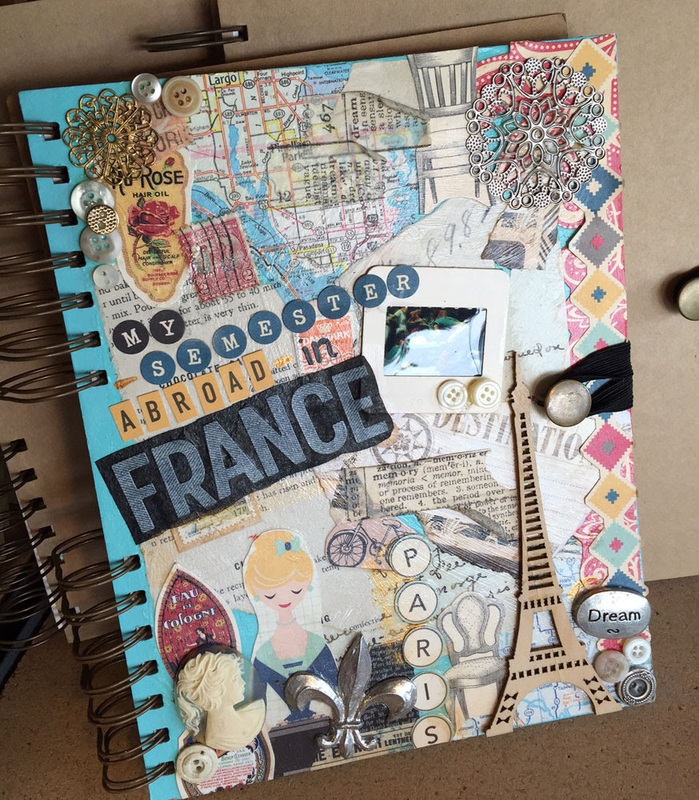 Whether you traveled to Paris or stay-cationed here in good ol’ St. Louis, you can make something special with your treasures. Maps, postcards, tickets, and even brochures are great for decoupaging onto almost anything, like the notebook and tissue boxes featured above. 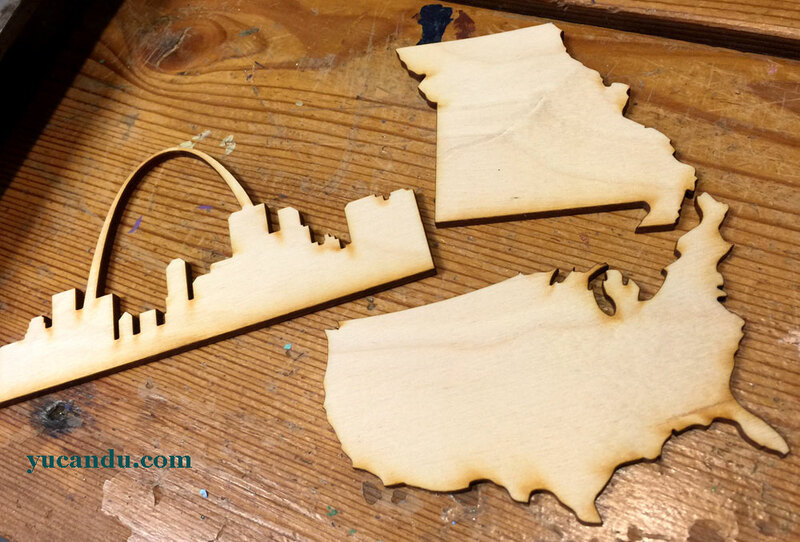 Bring in your items to mix in with our wonderful supplies, like these wood cuts of St. Louis, the state of Missouri, and the US. 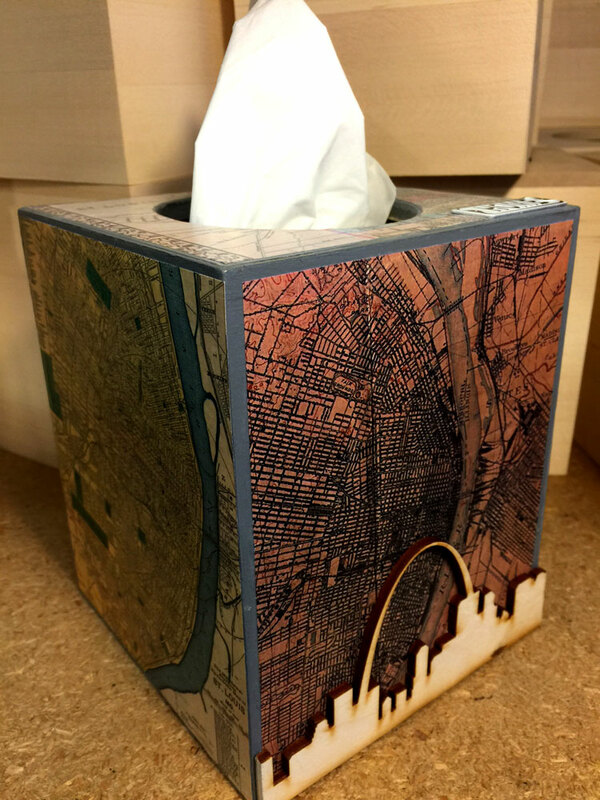 Commemorate your summer in STL or your road trip across the country with one of them or attach one to a frame or trinket box! Yucandu all of these projects! If you have too many trinkets, mementos, and photos that you don’t even know where to begin, we can help! We want to help turn your memories into souvenirs that will last a lifetime. Bring in your momentos and email us your vacation photos. We’ll give you ideas, point you in the right direction, teach you a technique or two, make recommendations, or simply tell you you’re doing an awesome job with your DIY vacation art. Get started on your summer souvenirs by visiting us during Open Studio hours—no appointment necessary! You can use our Open Studio for $4 an hour or $12 for the day. Project prices will range anywhere from $15 to $150. What Do You Give to the Person Who Has Everything?